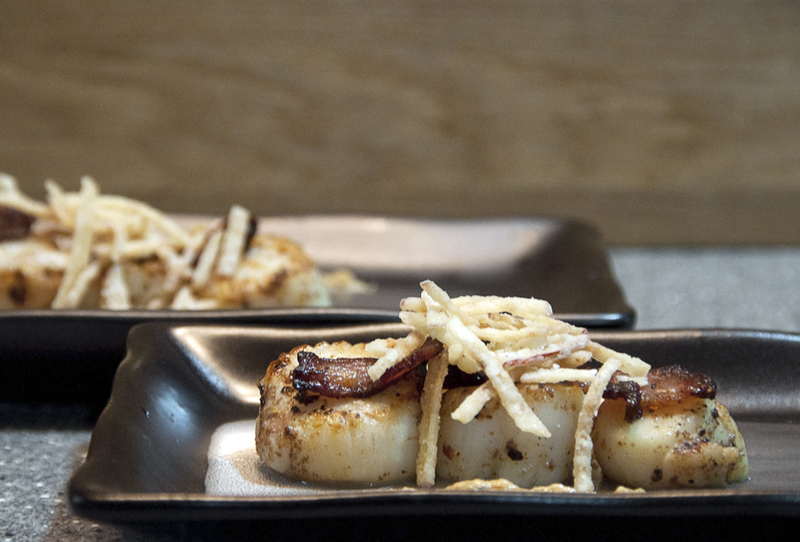 Scallops are one of my favorite ingredients to cook with and to put in my mouth. There’s just something about the natural sweetness of the meat and saltiness from the sea. This recipe combines Japanese and American elements. Prepare this before you start on the scallops. See my post on the apple matchsticks. Prepare this before you start on the scallops. See my post on Crispy Bacon Bits. Prepare this before you start on the scallops. See my post on the sauce. Assemble the elements and its Done! 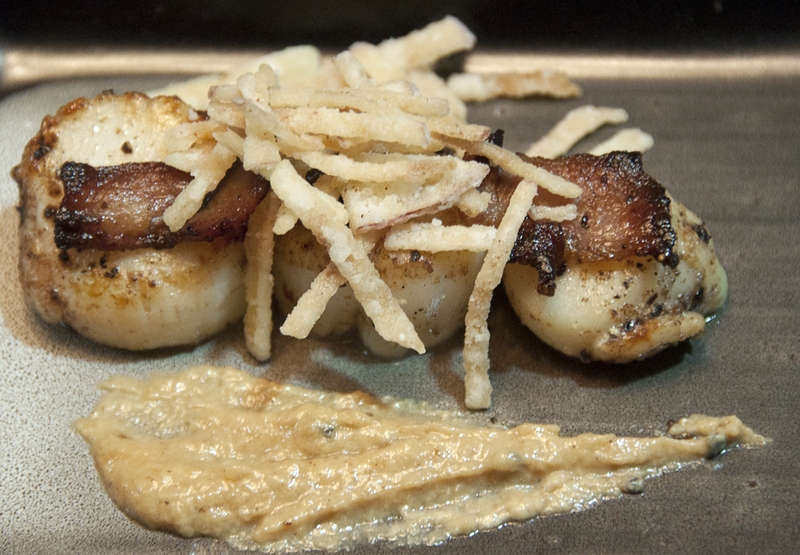 This entry was posted in MAIN COURSES, SEAFOOD (Ocean's Gifts) and tagged Apple, Bacon, Matchsticks, pan seared, recipe, Scallops by Whisky Uncle. Bookmark the permalink.